"The First World War was one of the most cataclysmic events of the 20th century. For many, the world stood still; for others their worlds were shaken beyond imagination. By placing time as the central framework of analysis, this collection of essays – based on research by up-and-coming scholars – pushes our understanding of the war and the experiences of those who lived through it in new directions. 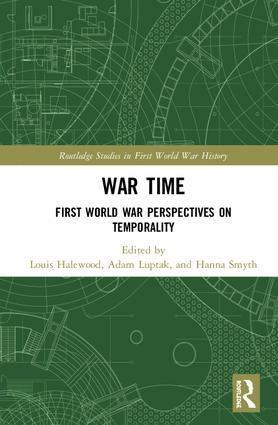 As we move beyond the centenary of the First World War, this volume is testimony to the fact that its historiography has never been in a more exciting place." "It is at night-time that we notice most of the changes in our life caused by the war":War-time, Zeppelins and Children’s Experience of the Great War in London.